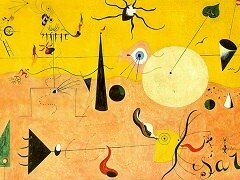 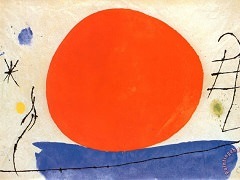 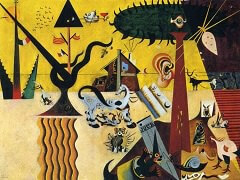 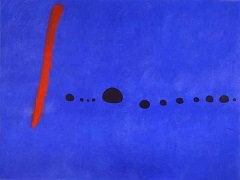 This work belongs to a series of paintings that Miro made in 1949-50 in Majorca. 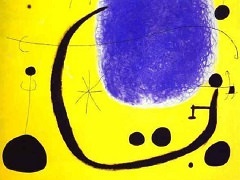 Mro's use of simple shapes and bright colours constitutes a highly personal visual language, often charged with symbolic meaning. 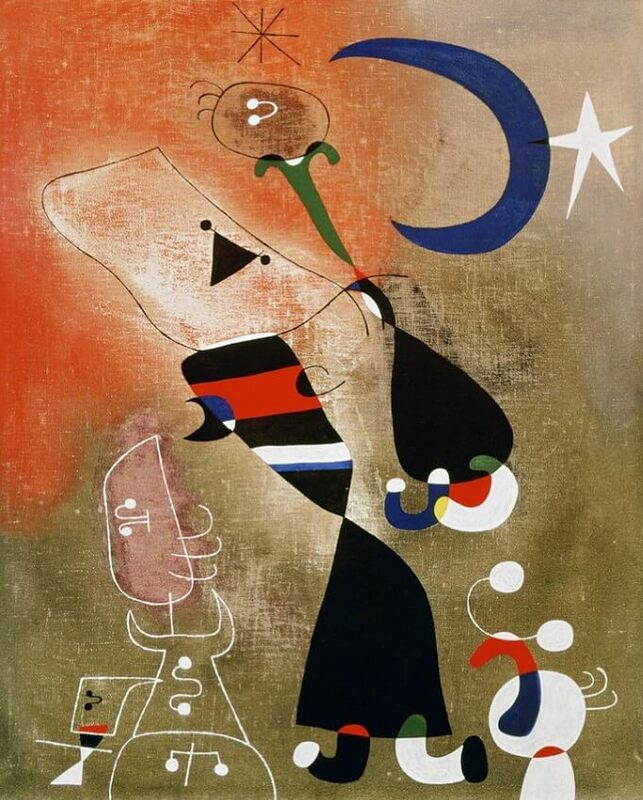 In this case, the women and bird of the title are easily identifiable under the moon and stars. 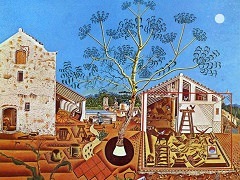 This imagery suggests a harmonious and elemental relationship between man and nature, which the artist felt was threatened by modern civilisation.